OK, I'm a week late on this because of The Foggy Brain of Sickness, but better late than never, right? I decided to go with 'Becca's suggestion of making this month's theme related to Black History Month. I picked three of my favorite books whose authors are black, and each book also speaks more generally to aspects of the black American experience. 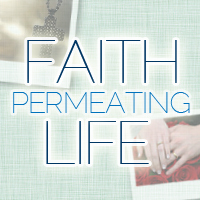 I would love to get your recommendations in comments! This book -- which, despite the title, is not an actual autobiography -- is memorable for its historical breadth. If you're looking for an introduction to black history told in story form, this is a good place to start, particularly as the first-person narrative makes the experiences vivid. The eponymous character is born into slavery shortly before the Civil War and lives up until the civil rights era. This was valuable for me because I feel like my history classes would talk a lot about slavery during the Civil War, and then would completely ignore black Americans until we got to the 1950s. 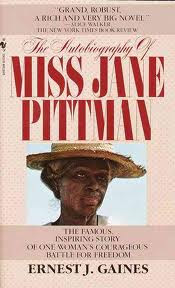 Jane spends most of the book as a sharecropper on two different plantations, which isn't that different from her experience as a slave aside from being paid a pittance for her work. It's a compelling and well-told story with memorable characters, with the added benefit of a realistic historical background. 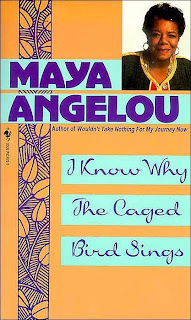 Unlike the previous book, this actually is an autobiography, that of the brilliant and talented Maya Angelou. I read this book in middle school, and it was possibly the first book that introduced me to the idea that I led a privileged and sheltered life. Angelou's young life involved both cultural problems -- dealing with the terror of racist violence in the American South in the 1930s and '40s -- and personal problems, including being raped by her mother's boyfriend who is then murdered, causing her to retreat into complete muteness. The book deals with both tragedy and triumph, however, as Angelou becomes more self-assured and aware of her own ability to fight back, including defying racist hiring practices to become the first black streetcar conductor in San Francisco. I haven't picked up the book in over a decade, but I still clearly remember certain scenes from this book that have stayed with me through the years. A major moment in black history happened not too long ago, with the 2008 election of the first black U.S. President. The year before Obama became president, though, I was a college student reading and enjoying his "thoughts on reclaiming the American dream." It's a treatise on what it means to be an American, and subsequently what the role of government is in creating good lives for Americans. 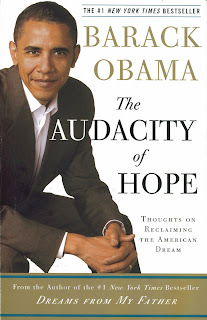 Looking back through it now, I wonder if Obama could have written this same book after four years of the presidency. There's a chapter on faith and the role in plays in our lives as Americans; did he suspect how his own faith would be put under the spotlight and that so many people would try to assign him to an entirely different faith because of their own suspicions and prejudices? There's a chapter on race, but Obama has made almost no references to his own race during his presidency. I'd be interested to re-read this book now and compare. What other books do you recommend for Black History Month? About Obama, I think the labeling of him as "the first black president" actually reflects a lot of lingering racism in America. (I'm not labeling YOU as a racist but the culture from which you're speaking.) Only half his ancestry is "black", and the other half is "white", so how does that make him "black" instead of "gray"?? It's more accurate to say he's the first mixed-race president or the first non-white president. As such, I think he's a symbol of hope for the eventual equal representation of people of all races, not just African-American. He certainly is a great writer and speaker, and I look forward to reading the book. I definitely understand this perspective, particularly the historical context of things like the "one drop rule." When I was looking at lists of black authors to jog my memory, one of the lists included Malcolm Gladwell, even though my understanding is he's mostly white and categorizes himself as mixed-race. But then most black Americans, particularly those descended from slaves in the U.S., have at least one white ancestor. My perspective is that, particularly as a white person, it's important for me not to impose my own definitions on other people's racial identity. Obama has identified himself as black or African American, so I acknowledge him as such. I remember going with Mike one day to some of his master's program classes and there was a woman who most people would have classified as white by looking at her, whose heritage was such that she identified as black and talked about how it was difficult for her that other people didn't accept that part of her identity. So while I think that eventually, at least in America, it will become difficult to draw clear racial distinctions for anyone, I want to acknowledge and respect people's own racial and cultural identities.